Research from Midway Chevrolet on the 2013 Chevrolet Camaro can be viewed below the video. All Chevrolet dealerships in Phoenix are not alike. We feel it's our obligation to equip customers with quality Chevrolet reviews that set us apart from the typical dealership. 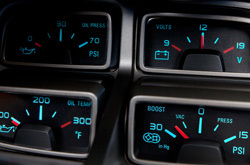 The following article is full to the hilt with beneficial information- it contains everything so that you can make versed decisions about the Chevrolet you want to buy. Does the Camaro have your name on it? Read more and find out! 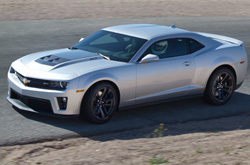 Comparing the 2013 Chevrolet Camaro next to against vehicles like the 2013 Hyundai Genesis Coupe, Ford Mustang, Dodge Challenger and the Nissan 370Z, and you will notice that the 2013 Camaro transcends the competition in oodles areas. Get a load of our bullets to see why! Feel the [resassurance] that comes along with acquiring tried-and-true repairs by Chevrolet trained technicians, a full year warranty on all work, and genuine Chevrolet parts. At our Phoenix area repair center, this and more is available for Chevrolet Camaro drivers. Turn to the auto repair hot shots in Phoenix, Midway Chevrolet, when your Chevrolets takes a pummeling. Whether you come for routine oil changes, a effortless brake pad fixes or anything else, we'll complete your Chevrolet repairs with ease. Midway Chevrolet is your best choice in Phoenix for quality, professional Chevrolet repairs and routine maintenance. When you stop by Midway Chevrolet's service department, take advantage of huge savings with our incredible specials. Click below this paragraph!